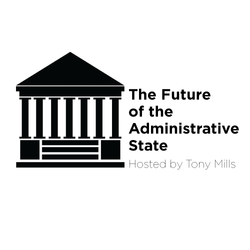 The Future of the Administrative State is a weekly podcast, hosted by RealClearPolicy editor M. Anthony Mills, that explores the virtues and vices of administrative power at a time when both Right and Left fear a growing executive branch. Each week, Tony sits down with a leading authority to discuss the future of administrative power in the Trump era. In Episode 1, the Hoover Institution's Adam J. White breaks down the meaning of the administrative state. The discussion touches on Steve Bannon’s call for its “deconstruction” and Barack Obama’s use of executive actions. In Episode 2, Columbia Law School’s Philip Hamburger explains why he thinks the administrative state not only violates the Constitution’s separation of powers but also threatens Americans’ civil liberties. The discussion touches on the monarchical concept of absolute power, German political philosophy, and American progressivism. In Episode 3, Paul Verkuil, former chairman of the Administrative Conference of the United States and senior fellow at the Center for American Progress, makes a positive case for the administrative state. The discussion touches on prospects for bureaucratic reform and the implications of agencies’ reliance on private-sector contractors. In Episode 4, Nicholas Bagley, a professor of law at the University of Michigan, argues that contemporary critiques of executive power miss the mark. The discussion touches on the nature of regulatory oversight, the role of the courts, and today’s political dysfunction. In Episode 5, Elaine Kamarck of the Brookings Institution and the Harvard Kennedy School of Government makes a case for reforming rather than abandoning the administrative. The discussion touches on the erosion of congressional power, civil service reform, and the impact of technology on the federal bureaucracy. In Episode 6, John Marini of the Claremont Institute and the University of Nevada-Reno argues that centralized bureaucracy has displaced the Founding Fathers’ vision of a constitutional republic. The discussion touches on political philosophy, the decline of party politics, and Trump's rise.